Since then, Clive has established himself as one of the world’s premier acoustic guitar players. He has toured across Europe, Australia, the Middle East and North America, garnering praise for his sublime performances of everything from 16th and 17th century lute music to Jazz standards, Blues, Irish reels and his own groundbreaking compositions. Lauded guitarist Tommy Emmanuel has also taken Clive on the road, and similar nods to Clive’s musicianship have been given by everyone from classical guitarist John Williams to Madonna, Guy Ritchie, Michelin award-winning chef Jean-Christophe Novelli, and the Sultanate of Oman. To date, Clive has released four solo albums; “Sixth Sense”, “The Red Guitar” (which Tommy Emmanuel cites as one of his desert island discs! ), “Life in Colour” and “The Furthest Tree”. Clive has also written music for television and film, most notably composing the music for the film “Driving Lessons”, which features Julie Walters and Rupert Grint of Harry Potter fame. Clive newest CD, “The Furthest Tree”, was released in May 2016 and is already being hailed as some of his finest work to date. 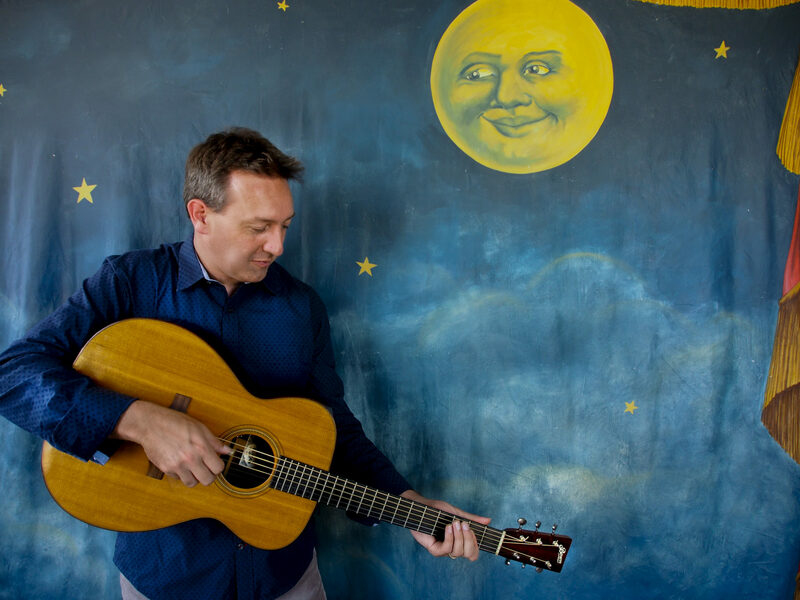 Guitar phenomenon Clive Carroll’s masterful compositions, coupled with his versatility and unparalleled technical virtuosity, have rendered him one of today’s most admired and respected guitarists. Born in England, Clive began his musical journey in Chelmsford, Essex. His parents had a taste for American country and old time music and it wasn’t long before Clive was playing in the family band on a homemade banjo. By his early teens, guitar in hand, Clive was traversing the worlds of soul, pop, funk, and traditional Irish music, balancing his affinity for Slayer with the etudes of Tárrega. This breadth of musical curiosity was to become one of his strengths; even as a child Clive was as comfortable accompanying a group of folk singers as he was jamming along to Nirvana or performing standards with the Essex Youth Orchestra. Clive went on to earn a 1st Class Honours Degree in Composition and Guitar from the famed Trinity College of Music in London, all the while balancing his classical work with forays into the world of the steel string guitar. By the time he graduated from Trinity, Clive had not only penned orchestral works, he had written an album’s worth of solo acoustic guitar music. A chance meeting with English guitar legend John Renbourn proved the catalyst for Clive’s debut album, “Sixth Sense”, which Renbourn deemed “a milestone in the journey of the steel-string guitar”. He subsequently took Clive on the road with him and the pair toured North America and Europe together, launching Clive’s solo performing career.